[vc_row][vc_column][vc_column_text] [/vc_column_text][vc_column_text]As of 2012, we lose more than one Long Islander every day to a fatal heroin, Oxycontin, or other opiate overdose! Be prepared to respond if a loved one needs your help! Opiates are central nervous system (CNS) depressants. They imitate the body’s endorphins and slow breathing. An overdose occurs when breathing slows too much to get enough oxygen to the brain or stops completely. Decreased Tolerance: With consistent use of opiates, one’s body builds a tolerance, requiring more and more of the substance to achieve the same effects. When one ceases use, his or her tolerance decreases again. This is likely to happen while incarcerated or after going through detox and/or rehab. Unfortunately, being clean increases a person’s chances for overdose if he/she relapses. Mixing Drugs: The majority of people who die from an overdose have been found to have multiple drugs in their bodies. Mixing opiates with alcohol or benzodiazepines (which are also central nervous system depressants) can add to the effect of the opiates. Health Issues: Respiratory issues (like pneumonia) may impair breathing even before the impact of the opiates. In addition, liver problems (like hepatitis) may slow the rate of metabolism and make overdose more likely because the substance will remain in the body for a longer period of time. Using Alone: While using by yourself does not increase the chance that you will have an overdose, it does increase the chance that if it happens it will be fatal because there will be no one to help you. Do not lock yourself in a bathroom or other room where no one can check on you. 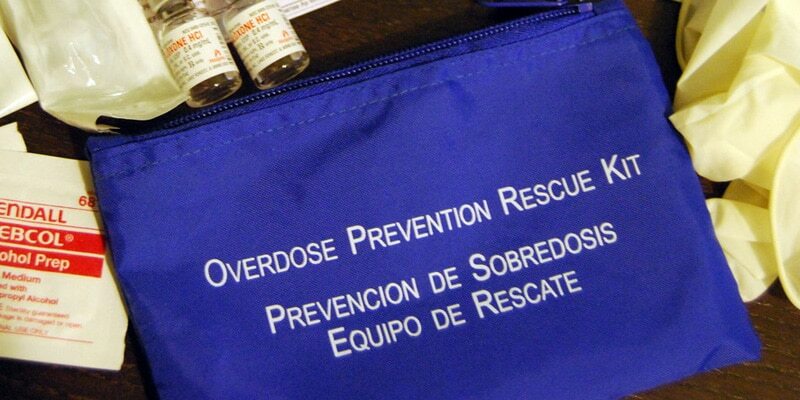 If possible, make sure someone knows you are using and have Naloxone available just in case! What Does an Opiate Overdose Look Like? Rescue Breathing (This is not CPR, and you should never administer chest compressions unless you have been properly trained! ): Lay the person on his/her back, tip the head back slightly, hold the nose closed, check to make sure there is nothing caught in the throat, and breathe deeply into the person’s mouth once every five seconds. Naloxone (also called Narcan): If you have been trained and certified to use Naloxone, administer the first dose if the person does not respond to rescue breathing after 2 minutes.